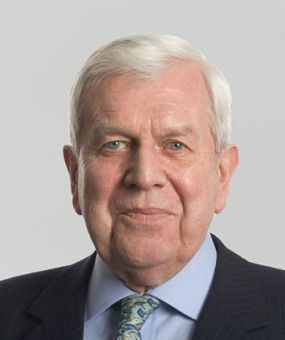 Peter Bowsher is a former Judge of the Technology and Construction Court who previously practised from Keating Chambers as an arbitrator, adjudicator and mediator. During his 16 year career on the bench Peter handled hundreds of actions of a highly complex and technical nature on cases such as St Martin’s Property v Sir Robert McAlpine. Whilst at Keating Chambers, Peter acted as sole arbitrator and co-arbitrator on domestic and international disputes. These included appointments by recognised bodies such as the International Chamber of Commerce (ICC), the Royal Institute of Chartered Surveyors and the Law Society. Peter also acted as adjudicator on substantial claims in the construction and rail industry and as mediator on high value disputes. Is IT adequately employed by Courts and Lawyers?”  1 (2) Computers and Law3. “The Interventionist Court” SCL Papers 6 March 1990. “Information Technology in Complex Civil Litigation in England and Wales”  5 Yearbook of Law Computers and Technology 19. “Guide for Use in Group Actions” with Andrew Smith now Andrew Smith J and Roger Pannone  Supreme Court Procedure Committee. “Deciding disputes – Common ground between Judgments and Arbitration Awards”. SCL Papers 5 November, 1996. “Trying IT Cases”  Journal of Society for Computers and Law, vol. 15 issue 4, 4 November, 2004. “Security for Costs in Arbitration”. (1997) 63 JCI Arb 1: (1997) Arbitration 36: D. Mark Cato “Arbitration Practice and Procedure” 2nd ed 531. “One Stop Shop – Arbitration”, Mediation, and Adjudication”. Talk at joint Meeting of the Society of Construction Arbitrators and the Association of Independent Construction Adjudicators at Keating Chambers, 17 December, 2003. “Reasons for the Award: Assessing the Evidence” – Handbook of Chartered Institute of Arbitrators (2006). Wright Hassall Seminar at Mallory Court, Keynote Speech, 22 October, 2008.